Next week, Southern rap great Big K.R.I.T. will return with his new Cadillactica LP. 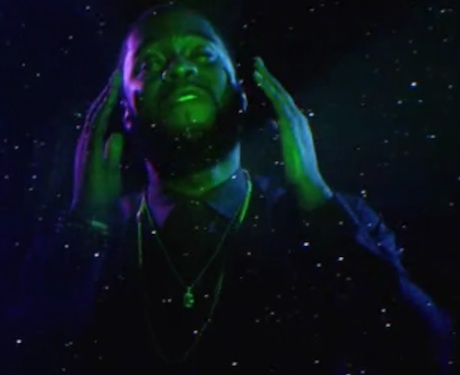 Ahead of its release, he's treated the album's title track to a music video. While it'd be easy to understand if K.R.I.T. opted to go for a straightforward car video for his latest auto-obsessed track, the rapper has instead opted for something much more cosmic. His green-hued head raps in the cosmos, while giant cars and dancing women float on by. Watch the video for "Cadillactica" below. The album of the same name will arrive on November 11 via Cinematic/Def Jam.